Hytera is a global leader in two-way radio communications, developing and manufacturing innovative solutions to meet our customer requirements. With a reputation for high-quality, reliable radios and systems, Hytera radios can be found all across the U.S., from Connecticut’s Hockanum Valley to the Minneapolis metro to Levi’s Stadium in San Francisco, on oil rigs, railway networks, casinos and conference centers, and construction sites. 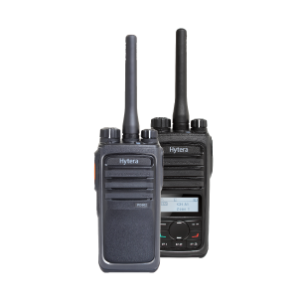 Hytera is the second largest manufacturer of two-way radios in the world and continues to produce leading edge products designed to provide mission critical communication products for nearly every application. The PD3i Series is a pocket-sized DMR portable radio capable of providing superior voice communication in a compact form. Communicate with multiple groups or call all groups in emergencies. The display and keypad provide the ability to call any individual in your group. The long-lasting battery yields approximately 12 hours of daily use. This is the ideal radio solution for small organizations looking for a cost-effective way to migrate to clear digital communication. The PD5i Series is a DRM portable radio capable of providing quality voice communication in a sleek design. 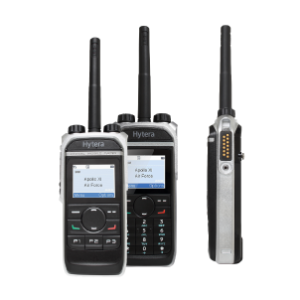 The Hytera-patented pseudo-trunking maximizes channel usage and the long lasting battery life yields approximately 16 hours under a 5-5-90 duty cycle in digital mode. The PD5i series is the ideal solution for organizations looking for a cost-effective way to migrate to clear digital communication. The PD6i Series is an open-standard DMR radio rich in features for both voice and data communication in a design approved to rigorous IP67 snf MIL-STD 810 testing. It is the ideal solution for organizations looking for an affordable migration from analog to digital technology. The Hytera-patented pseudo-trunking maximizes channel usage. 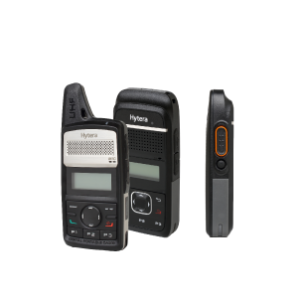 The PD6i Series G also comes with an optional GPS chip that allows the radio to integrate with Hytera Dispatch System or other 3rd party GRP dispatching software. Hytera two-way radios combine a rich heritage with cutting-edge Research & Development. When you buy Hytera radios, you buy products and solutions that are built to perform – and built to last. You’ll find Hytera radios in schools, at sports arenas, in warehouses, on construction sites, at airports, at events and conferences… in fact, you’ll find them in any location where critical communication is required. DMR stands for Digital Mobile Radio – an open digital radio standard. DMR has received global recognition as a technology that combines voice, data, features and applications. Thanks to the DMR standard, Hytera DMR radios work with any other compliant system. But what sets Hytera apart is the breadth of range and feature set across our DMR radios. From the light, compact BD3i series – designed for ease of use in indoor environments – to the impermeable, explosion-proof PD792i Ex – there’s a radio for everyone. We’re connecting people everywhere – improving safety and productivity along the way. Hytera’s Pseudotrunk technology brings trunking (a collection of frequencies allocated to one system so talk-groups can seamlessly share frequencies) to DMR without compromise or additional cost. The two slots inherent to DMR protocol are only beneficial if both slots are available to all potential transmissions. With Pseudotrunking, all radios will default to slot one for any voice transmission. If slot one is busy, they will automatically switch to slot two. While this concept is available from other manufacturers, it comes at a premium cost. With Hytera systems, it’s built in. Pseudotrunking makes the potential of a radio system more robust by allowing all users access to both slots without predefinition. The Hytera system is able to handle multiple groups without additional transmitters, so users will never experience a busy signal. 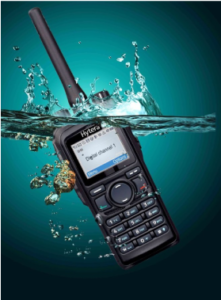 Other systems only allow the radio to be programmed to access slot one or slot two based on the talk-group, and would require a purchase upgrade to match the Hytera system’s functionality. With Hytera, this intelligence is located in the subscriber unit. The repeater is designed to create the coverage necessary and is not required to control the management of slots. Other systems create trunking by having the repeaters manage slots. In the event of simplex operation, the radios act the same. They manage the slots peer to peer making the system independent of repeaters for slot management.